With the acquisition of our newest boat the “Marilyn Jean V” the “Marilyn Jean IV” will now be our primary boat for your private fishing charters in 2019 ! 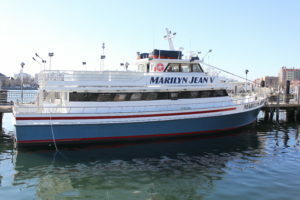 The “Marilyn Jean IV” is larger and more comfortable than our previous charter boat. She can take up to 70 people on a fishing trip and 110 people on a cruise. With her larger cabin and spacious top sundeck, two clean restrooms and more room at the rails for your fishing comfort, your next trip will be one to remember. 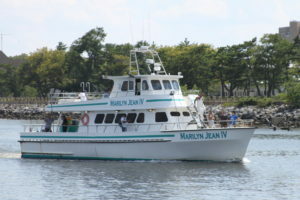 The NEW and BIG “Marilyn Jean V” will run the open boat fishing schedule from 7am to 3pm and 7pm to 12am daily, and will be available for larger groups on private charters with a fishing capacity of 100 and cruising for 150 people ! 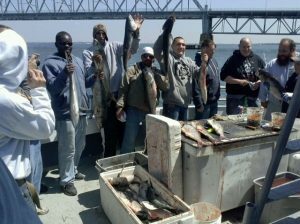 Give us a call for price and availability for your next charter from Sheepshead Bay Brooklyn, NY.